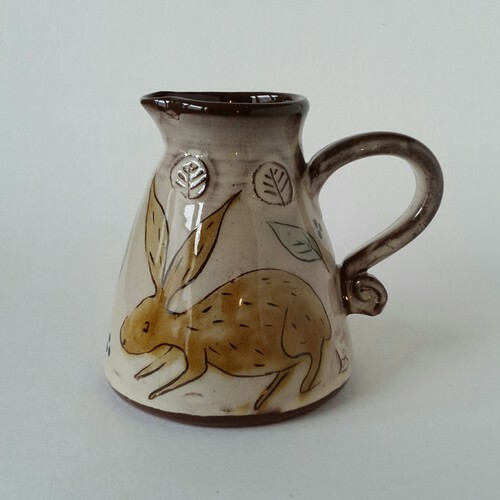 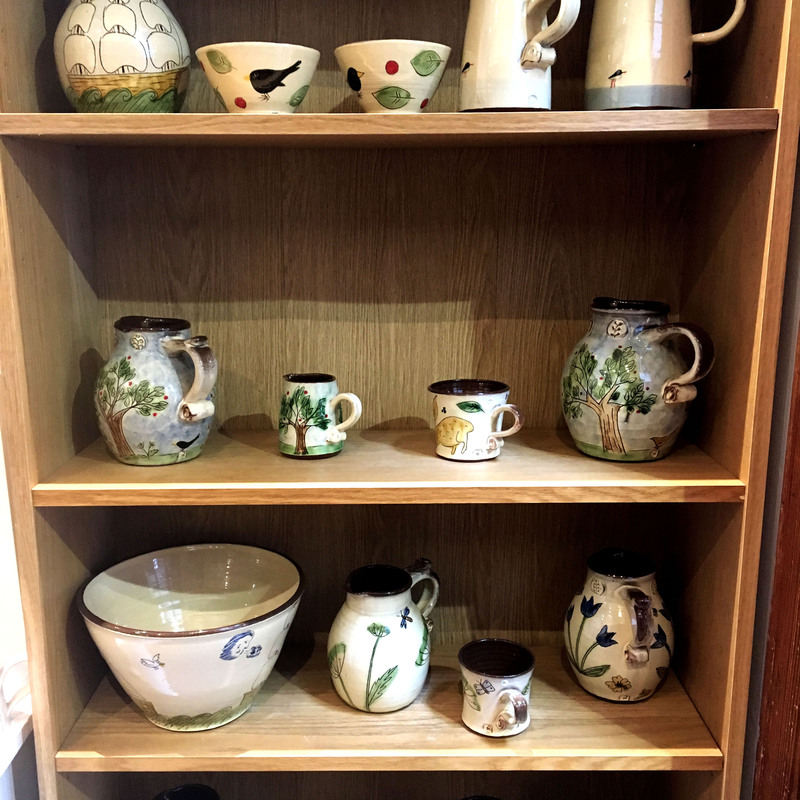 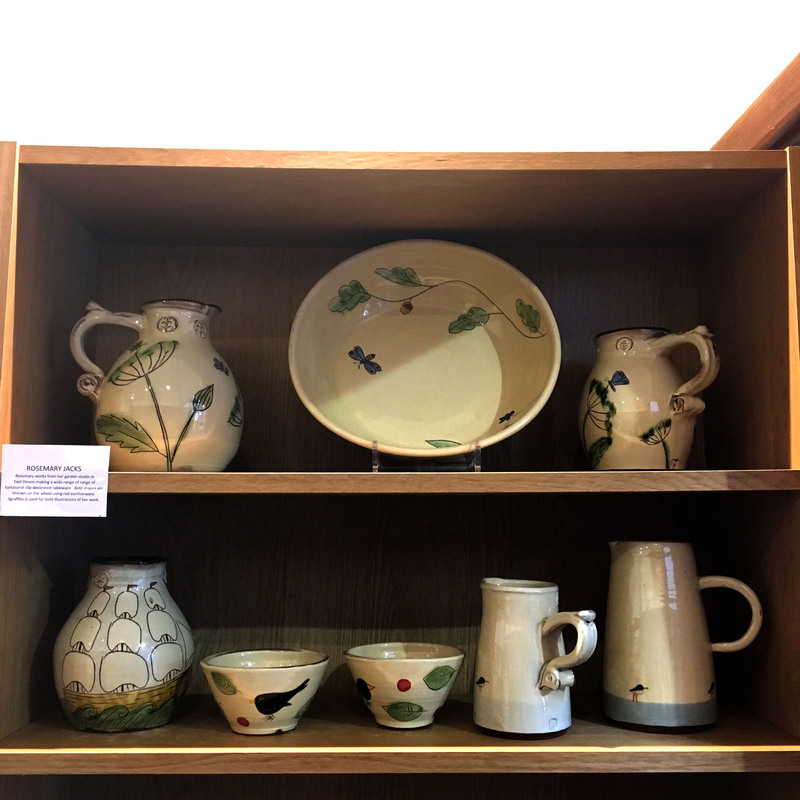 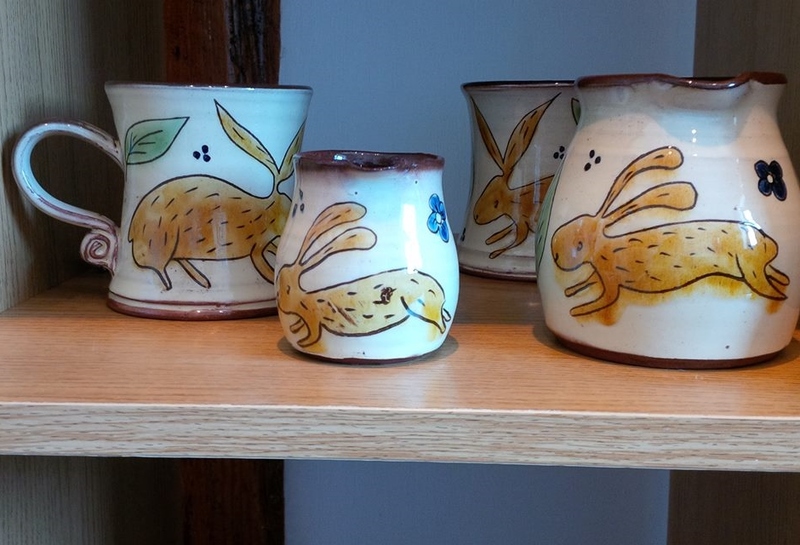 The range currently being exhibited at The Harbour Gallery by Rosemary is hand thrown in her garden studio in Devon using the traditional red earthenware clay of Devon Pottery. 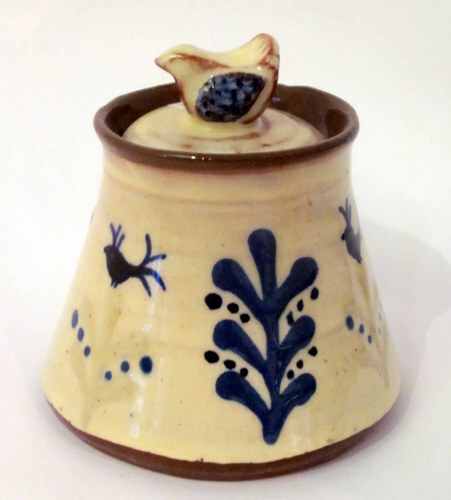 Slip decorated with animal, bird and plant motifs she takes her inspiration from nature. 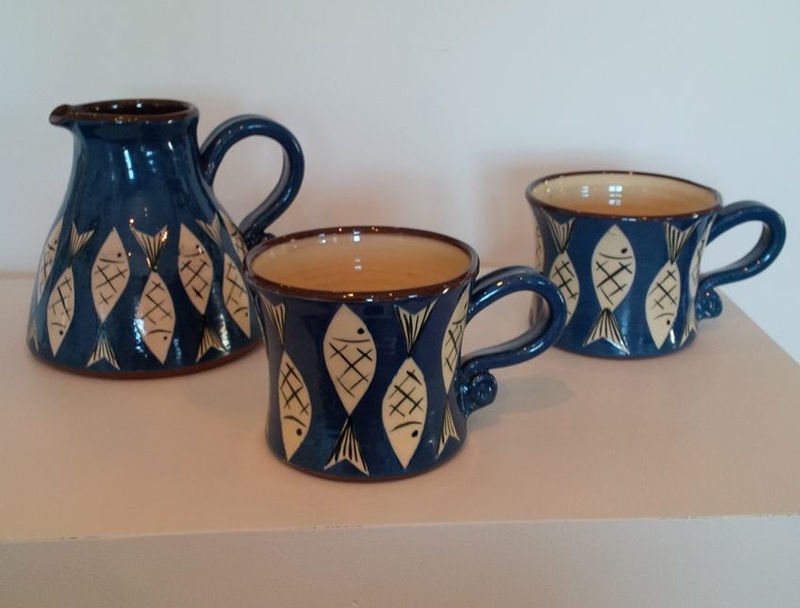 Every piece is designed to be fun as well as functional. 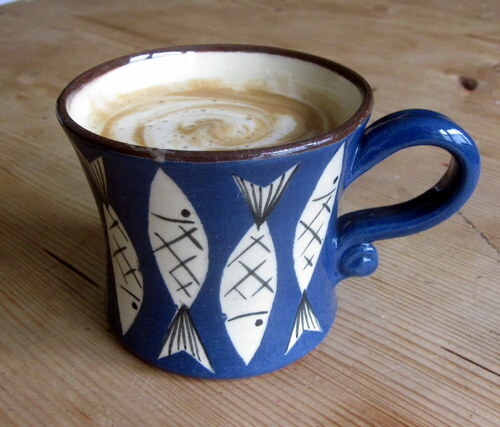 Rosemary makes a wide range of functional tableware, decorated using a variety of techniques.